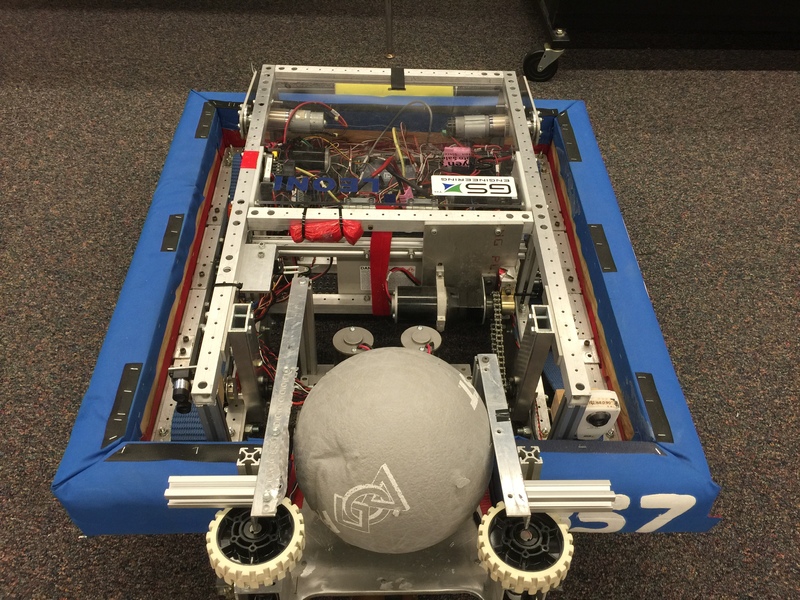 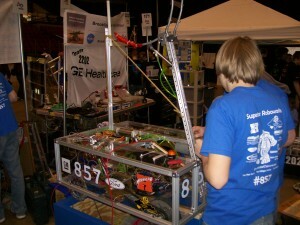 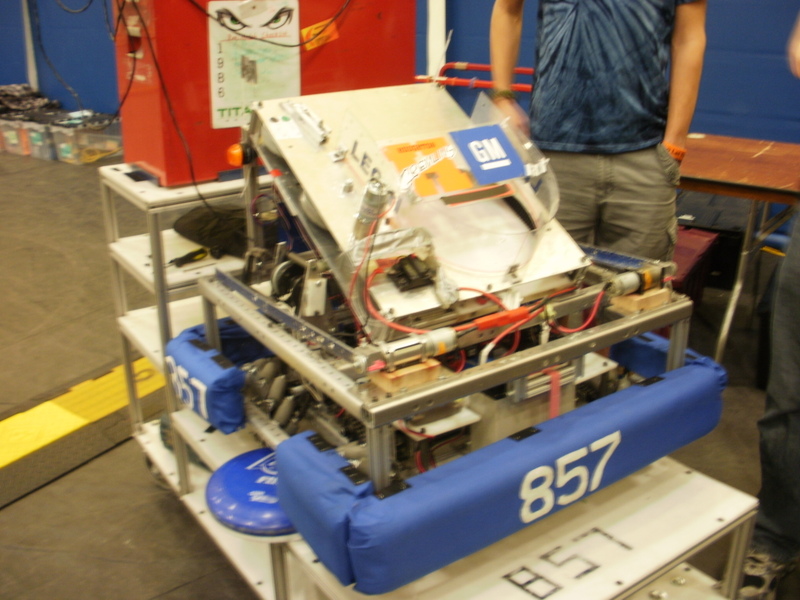 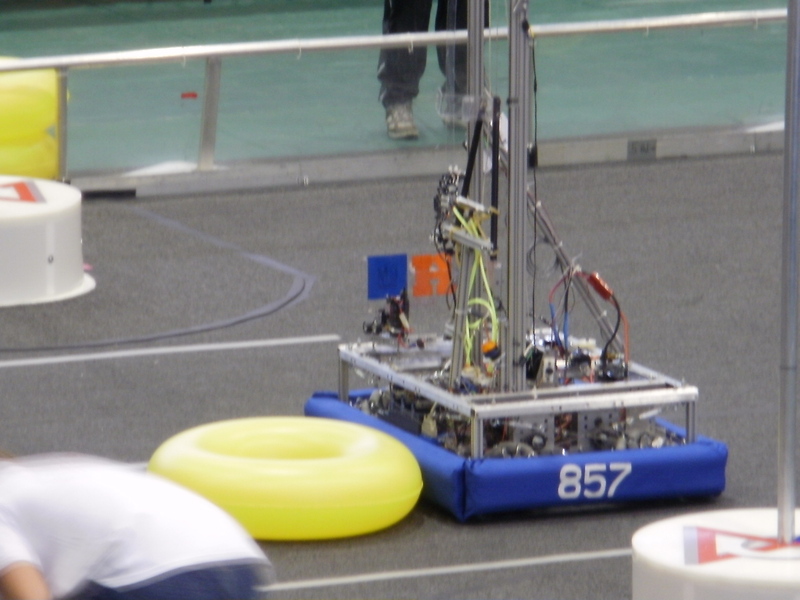 Team 857 Superior Roboworks is a team that participates in the FIRST Robotics Competition (FRC). 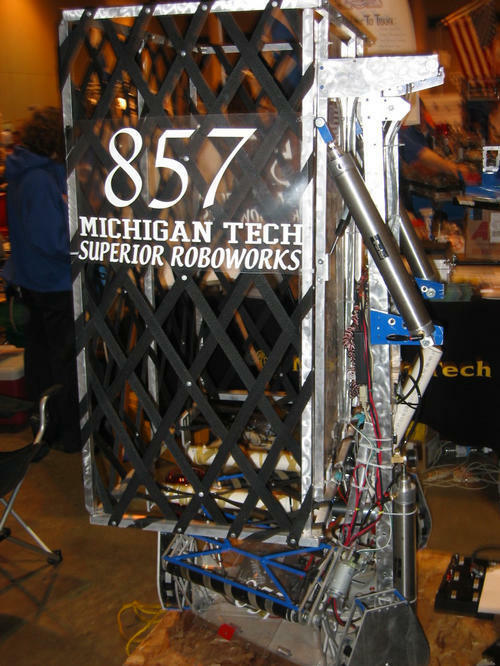 We are the first and oldest FRC team in the Upper Peninsula of Michigan. 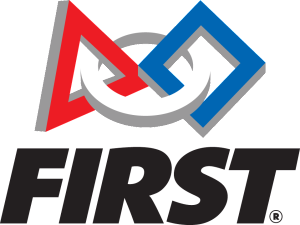 We are based out of Houghton High School, but accept students from anywhere in the Copper County Intermediate School District (CCISD). 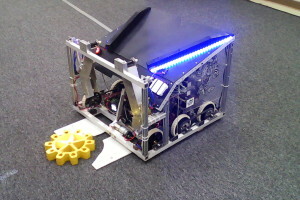 We are the successor of Team 221 MI Roboworks. 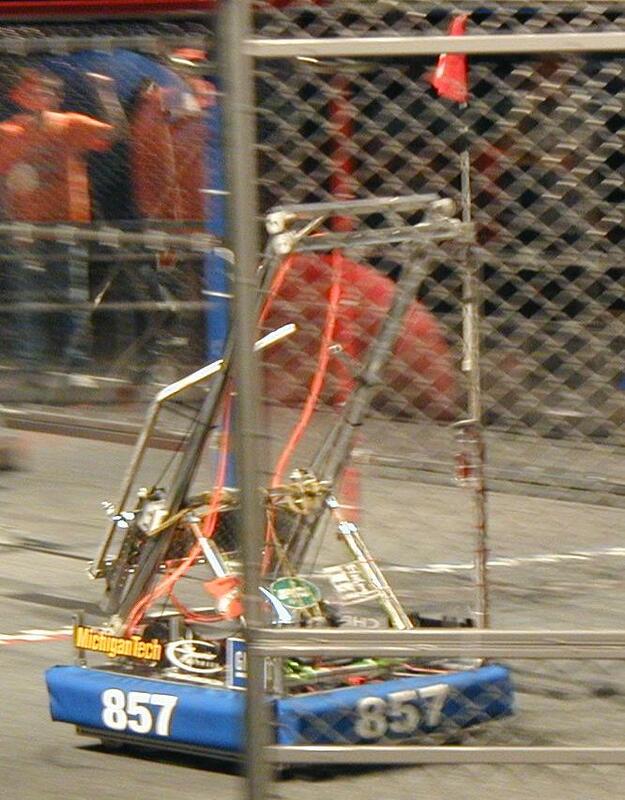 Our robots are named after Francois Castaing. This robot could score Hatch Panels on the Cargo Ship and first and second levels of the Rocket using Velcro and pneumatic poppers. It could climb to Level 2 of the HAB using pneumatically actuated legs. 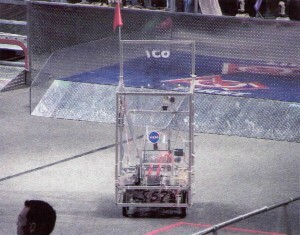 This robot had an articulating intake with compliant wheels to grab the Power Cubes from the floor, a two-stage elevator to lift them to the Scale, and a pair of ramps (“wings”) which other robots could drive up and then be jacked up to earn the climb points. 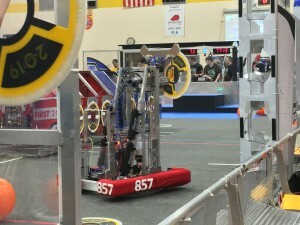 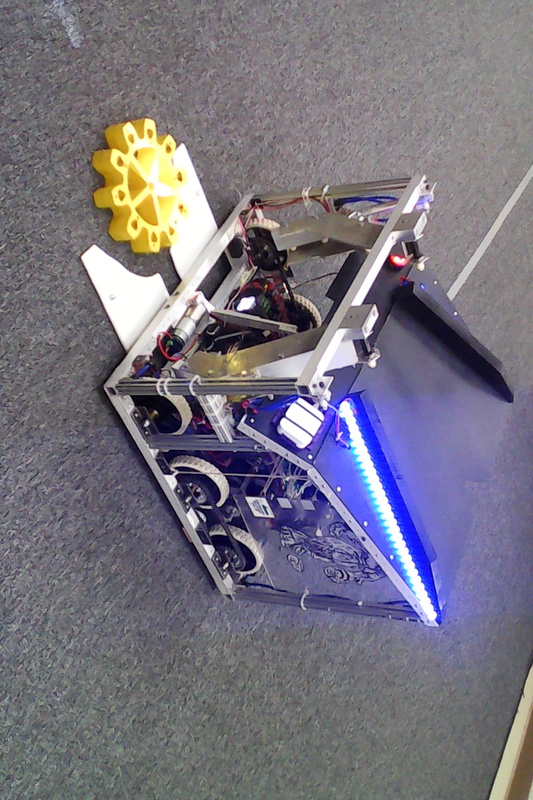 This robot had a large sloped ramp to receive Gears from the loading station, an active gear release mechanism to put gears on the peg, and a gear floor pickup that used a brush to stab the center of the Gear. 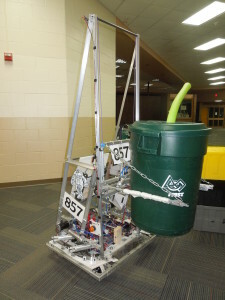 It used a winch drum with bolts to grab the rope knot and used a pair of ratcheting wrenches to keep from slipping down. Using its tank tracks, this robot could cross the Low Bar, Category A and D defenses, the Moat, and could open the Category C defenses for other robots. 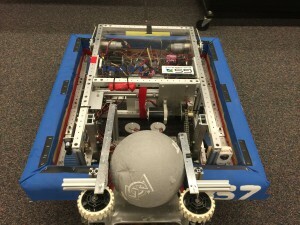 Could also score boulders into the low goal, and possibly into the high goal. 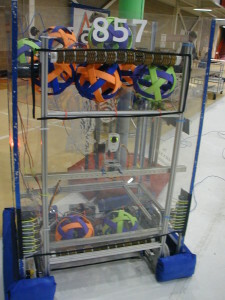 This robot could build one capped and noodled six-stack from the human player station, score co-op on the step, and cap other stacks. 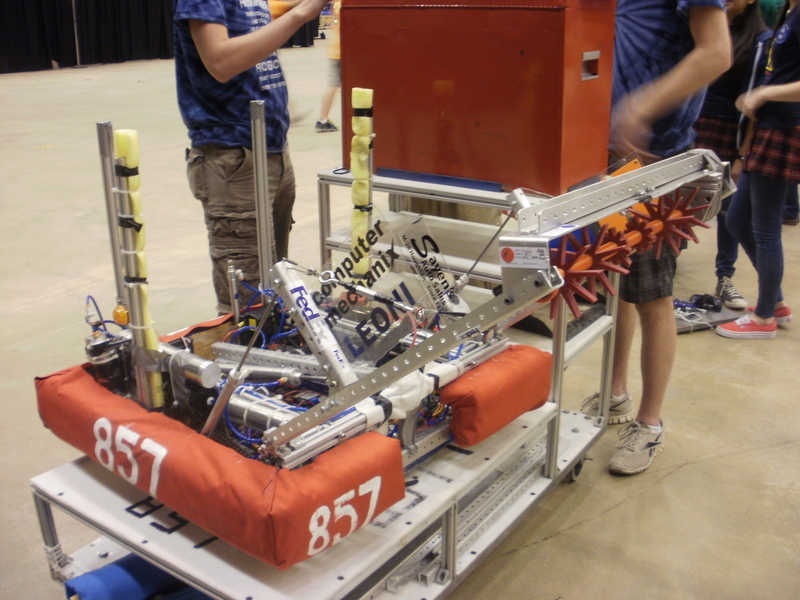 Finished as finalist as Escanaba, and earned trips to MSC and the Championship in St. Louis. 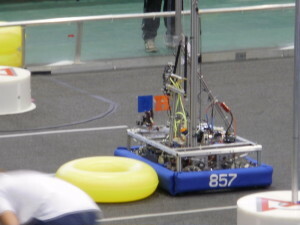 We were the #6 alliance captain in the Archimedes sub-division. This robot could score truss shots, high goals, and low goals, with a reliable 1-ball high goal autonomous routine. Finished as finalist as Traverse City, earned a trip to the Michigan State Championship and our first qualification for the Championship in St. Louis. 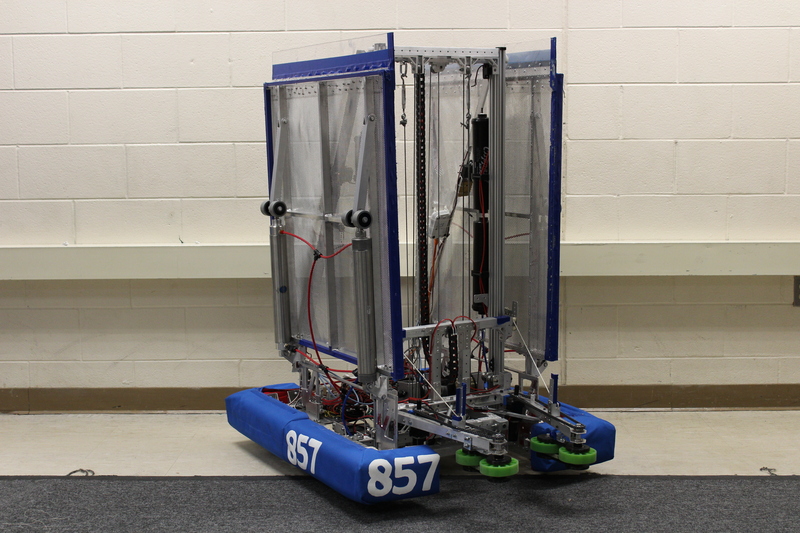 This robot could score two-point goals with a high success rate and climb one level of the pyramid for ten points. 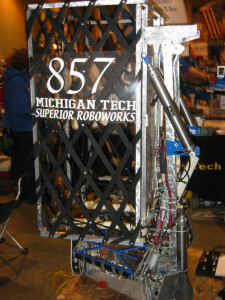 Earned us our first trip to the Michigan State Championship. 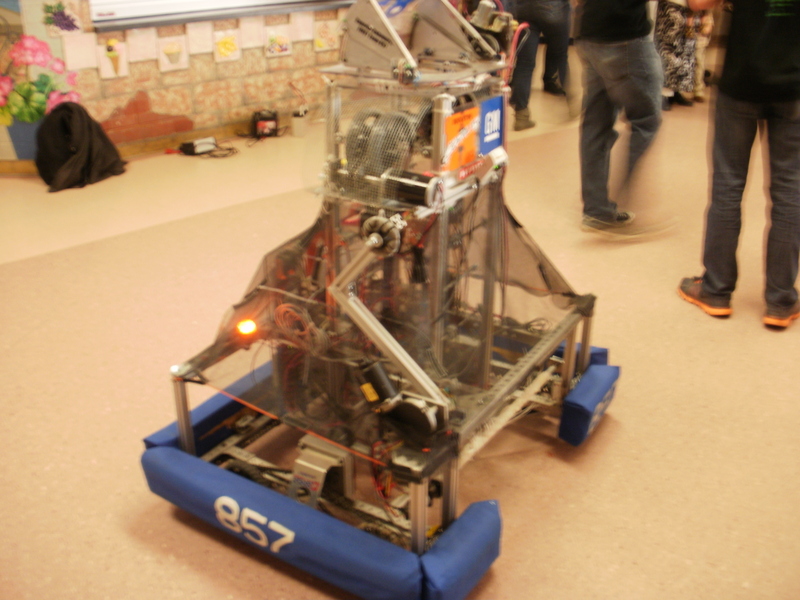 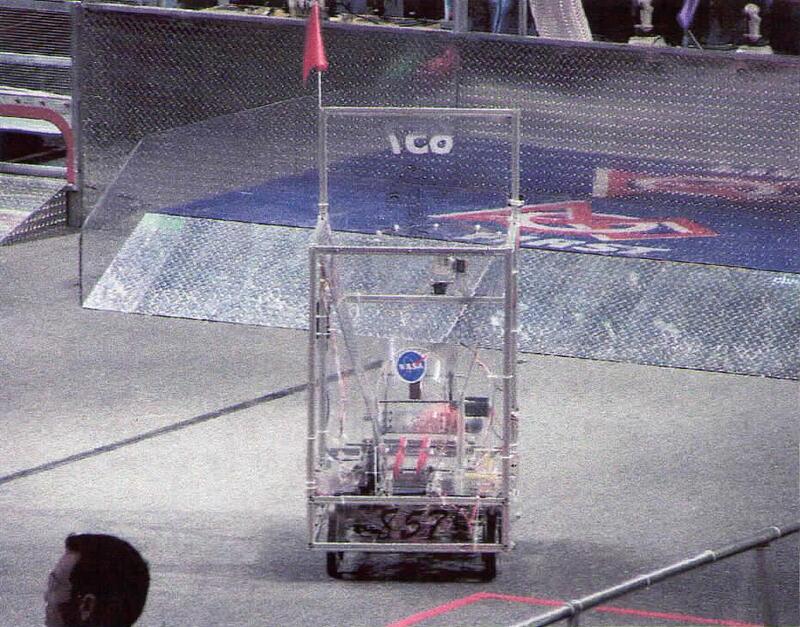 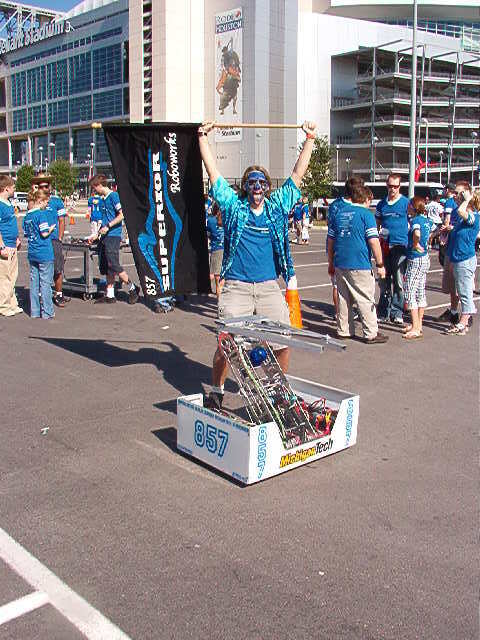 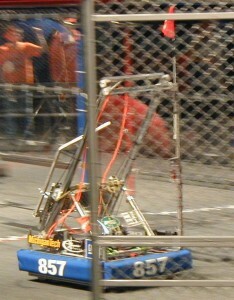 The team’s inaugural robot as 857, it featured a Kiwi drive controlled by a unique joystick mechanism. 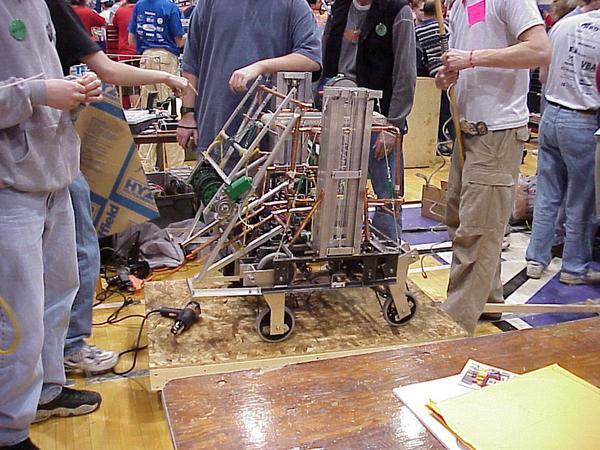 The earlier Francois robots are from when our team was Team 221.